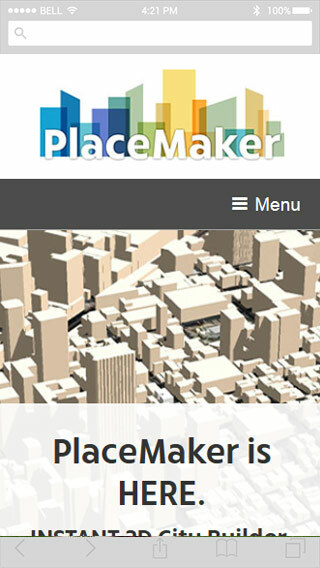 PlaceMaker is a plugin for SketchUp that allows the user to import hi-res aerial images, 3D buildings, 3D roads and walks and even bodies of water and trees. It includes the ability to texture buildings using Google Street View. 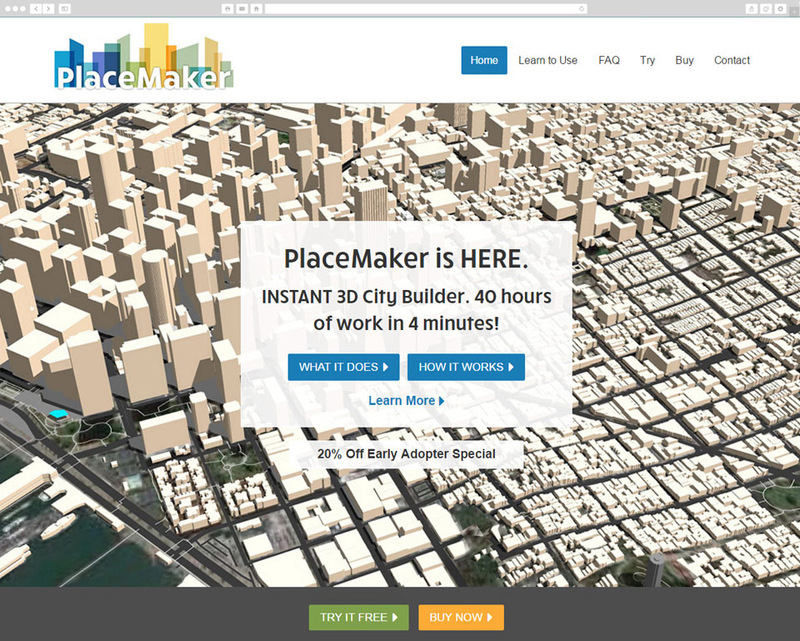 It saves the user hours, if not days, of work and can create instant cities from across the world. Red Kite helped the clients get this new site up and running in just a few weeks in time for a product launch. We also created the logo.